Chicken Piccata is one of those easy weeknight dinners that is still so tasty and elegant that I never get tired of it. It’s lemony and buttery with a little hit of sour from the capers. Capers are little unopened flower buds that are pickled, giving them a pleasant tangy flavor that really works in this dish. You can serve this over pasta or with roasted vegetables and some crusty bread to sop up that lovely sauce. Tip: Sometimes I pop the chicken in a gallon plastic bag and give it a quick pound with the meat mallet. This flattens out the chicken and ensures it cooks evenly and quickly, resulting in thin, juicy pieces of chicken. Tags: Chicken, Chicken Dinner, Chicken Picatta, Easy Dinner, Weeknight Dinner. Bookmark the permalink. 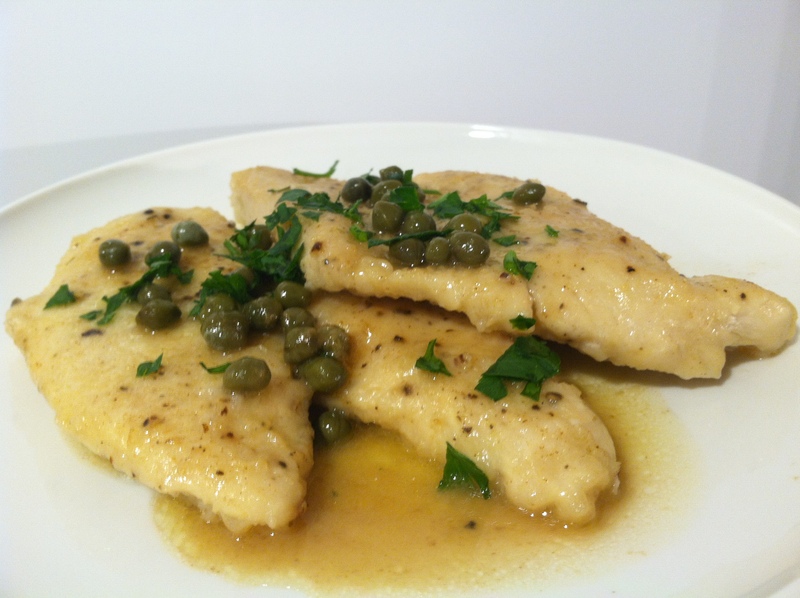 Love Chicken Piccata and rarely think to make it! On my list for next week. Picking up the ingredients for this tonight!